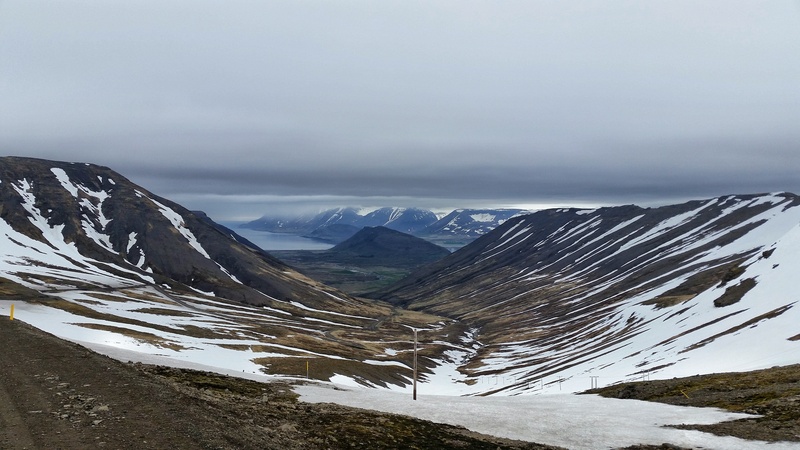 Our ultimate destination was the northern town of Ísafjörður, the largest town in the Westfjords, though it only has a population of around 5,000. En route, we stopped at the massive Dynjandi waterfall. It’s shape reminds me a bit of a wedding cake, as it falls in levels with each step increasing in width. As we walked closer to the falls, I saw who I swore was Björk sitting on a rock and meditating in front of the falls, but alas, it was not her. We had an unsuccessful attempt at this point of trying to use our camping stove to cook some canned ravioli for lunch, I think it was a bit too windy to keep the flame going, combined with my lack of experience, so lunch became cold ravioli, a viking beer, and Kind Bars. I never claimed to be an experienced camper. 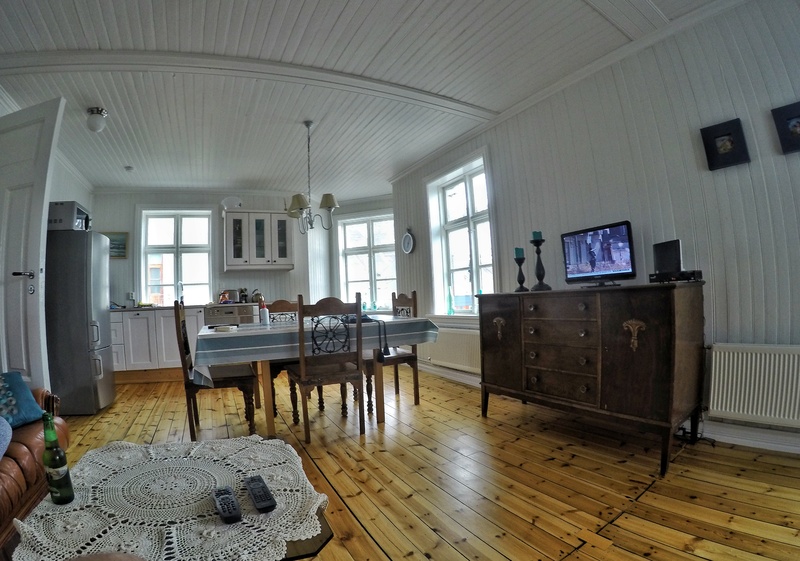 The apartment we stayed in was immaculate, and very comfortable and roomy. And the views from the windows were enough to make me question why I live in Houston, Texas, and not some exotic, sub-arctic wonderland. 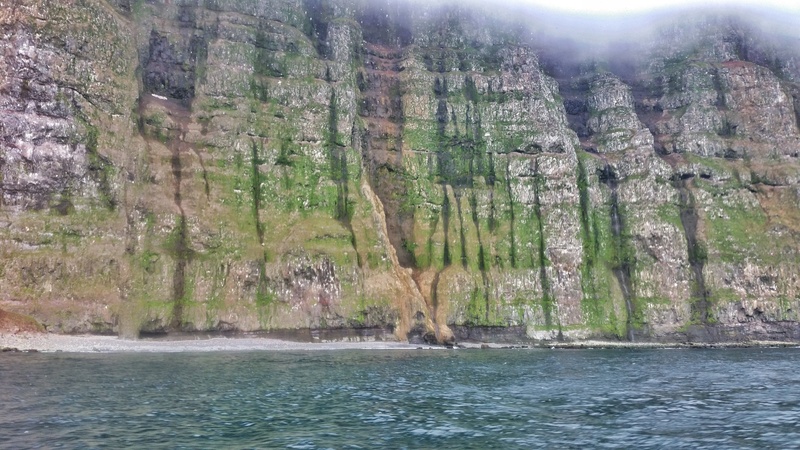 The next morning was our pre-booked excursion with West Tours, called the “King and Queen of Cliffs”. 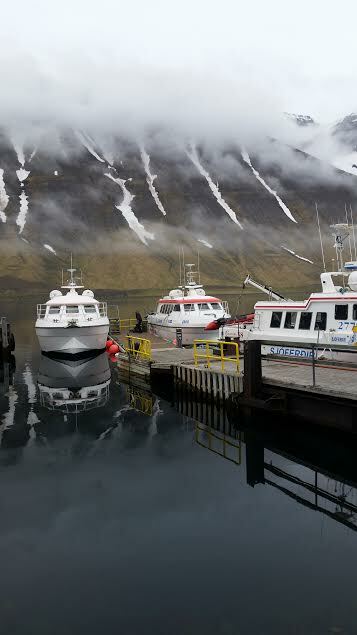 This tour involved a 2 hour chartered boat ride up to Hornstrandir National Park, just south of the Arctic circle, and the northernmost point in the Westfjords. We arrived early and boarded the boat along with about 14 others from various countries. The weather was just completely awful – not raining or windy, but just zero visibility. One of those days where the fog is so dense you could practically swim through it, and the visibility was about zero. It’s okay though, because my Icelandic weather app, Veður, was telling me that it was going to be brilliant sunshine by the time our hike was to begin. Wellllll, it didn’t quite work out that way. 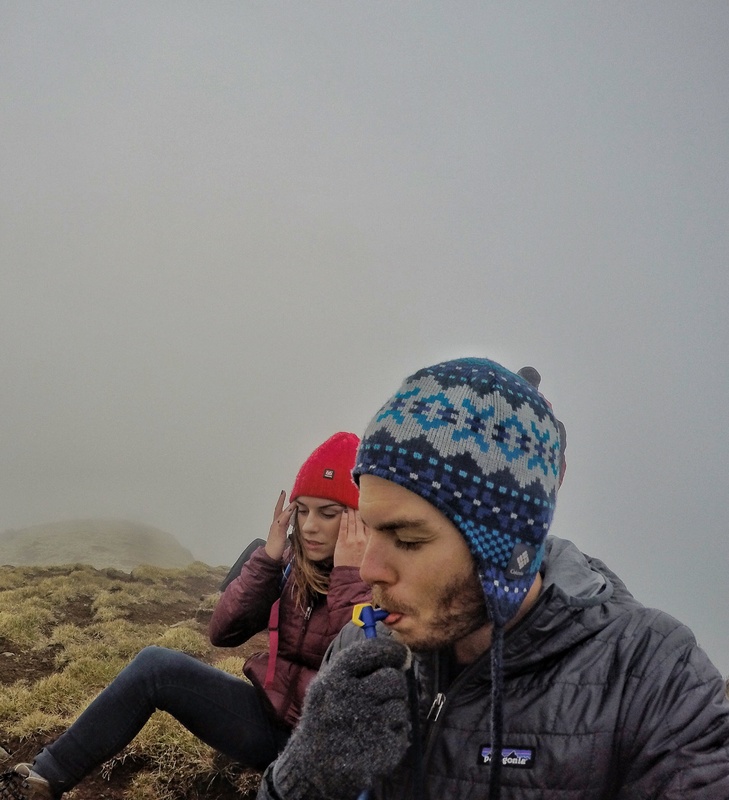 The fog stayed thick and low, and we hardly saw much, but it was still great hike, with a great guide, Óli. 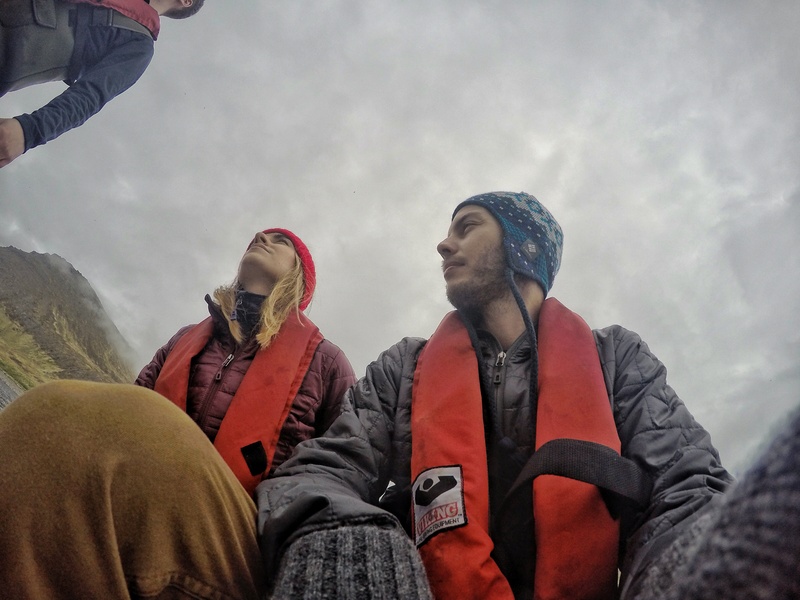 The hike started with an exhilarating ride from the boat on a zodiac rubber raft, where we disembarked onto a rocky shore and were briefed on the plan by our guide, Óli. 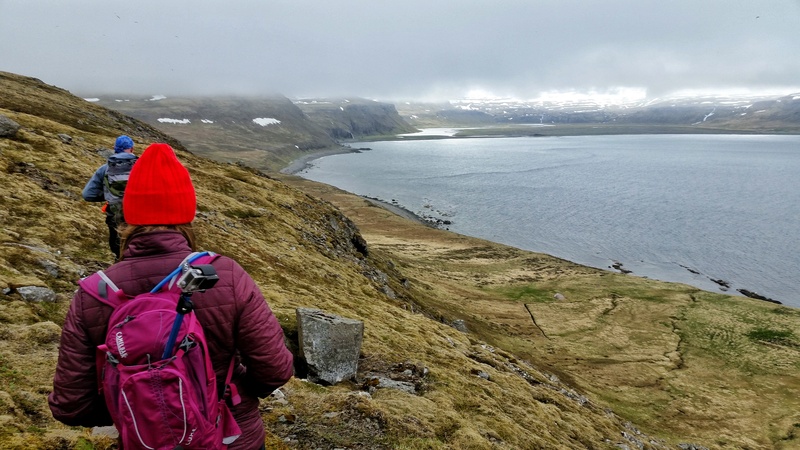 At plenty of points on the hike, Óli said “…and here is where you would see such and such, if these thick clouds weren’t here…” The sights we could see, however, were pretty spectacular. 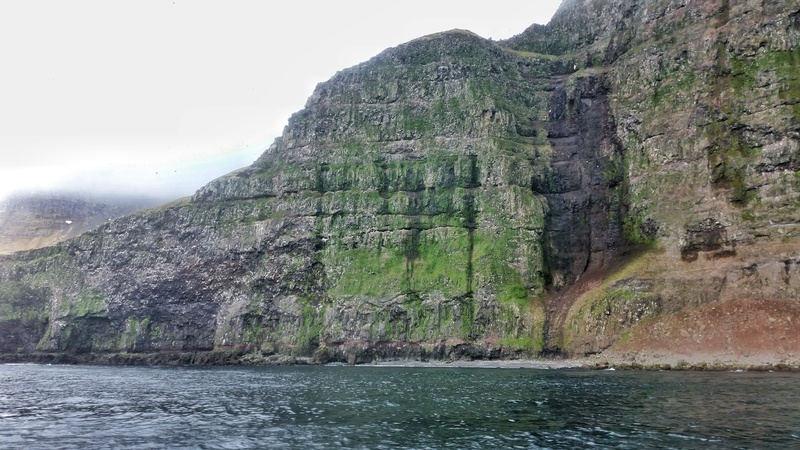 The hike took us along narrow cliffsides, steep mountains, and between fjords. We walked through a fox den, and on numerous occasions witnessed an arctic fox following our group, hoping to snag a snack from someone. 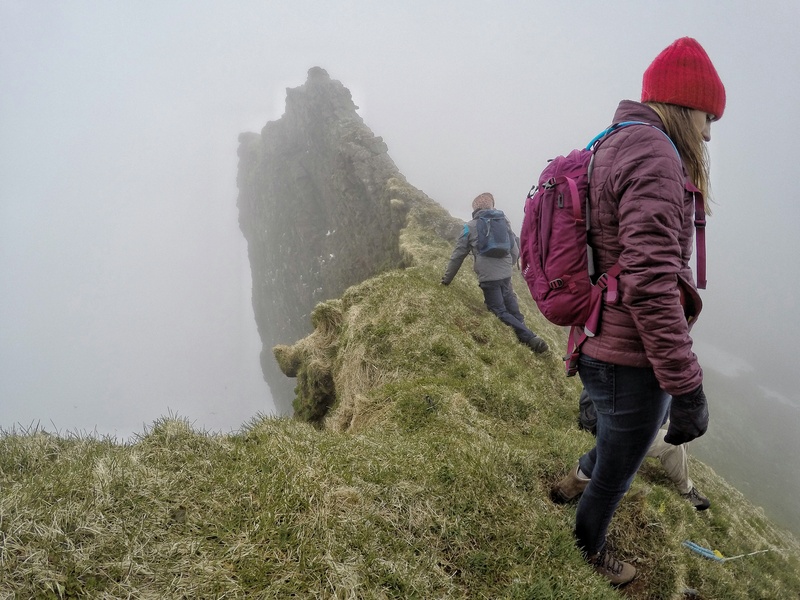 We hiked to the highest point in the Westfjords, at the Hornbjarg cliffs, and had it not been for the dense fog, it would have been far more terrifying seeing the vertiginous drops on all sides of us, that were mercifully hidden from view today. We stopped for a lunch at the highest point of our hike, after a rather strenuous slog of the mountainside, and were very winded by the time we made it to the top. 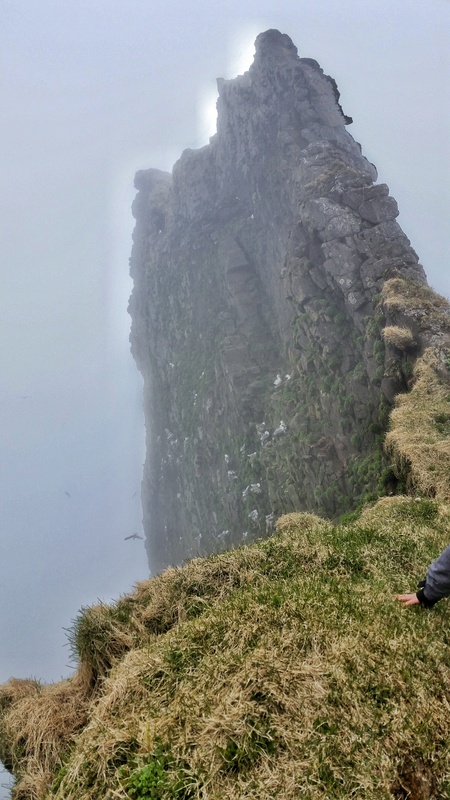 You could essentially straddle the summit where we sat with your 2 legs on either side of the mountain. It might have been scary on a clear day. We ate our Skyr and Subway sandwiches here while resting up for about 30 minutes. The actual hike itself was supposed to last between 6 and 7 hours, but when all was said and done, it ended up being closer to 4 because we weren’t spending as much time as normal at the viewpoints, just because of the fact that you couldn’t view a whole lot. Word started coming in from various hikers passing by that the clouds were scheduled to part around midnight or so. 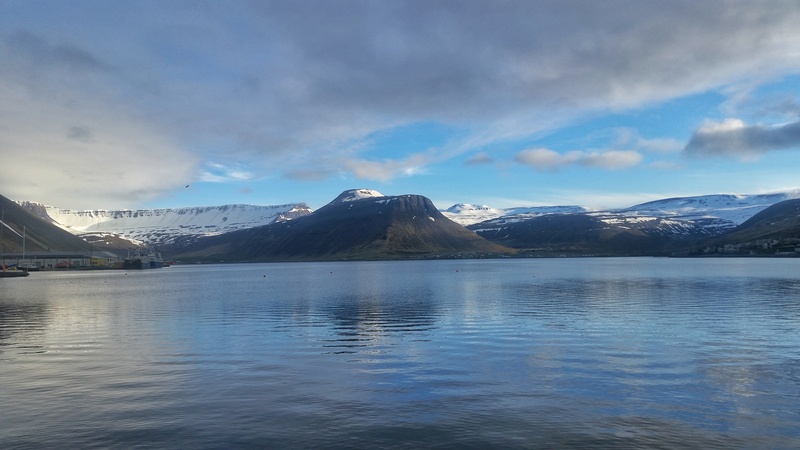 Our guides decided to call it a day and we all met back at the beach where we started and they summoned our boat for the return to Isafjordur. 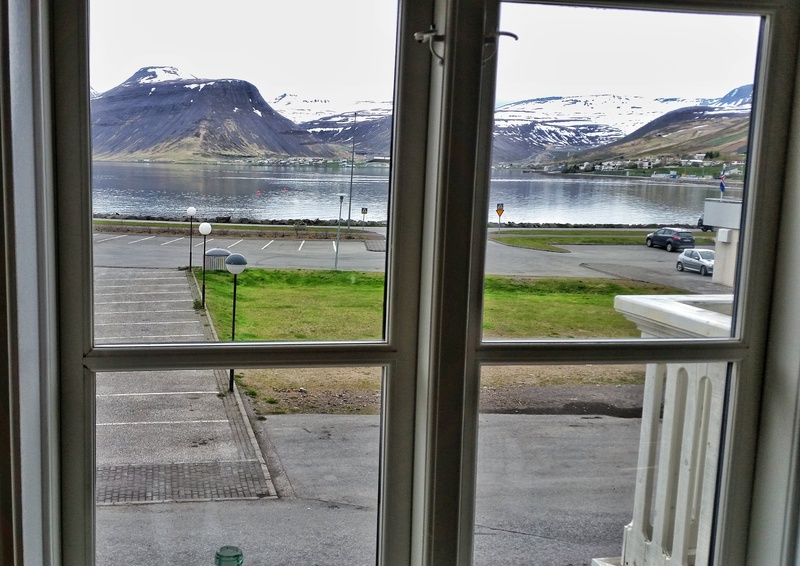 Right on schedule, at around midnight, the clouds parted and blue skies prevailed, finally giving us the full majesty of the Westfjords, from the comfort of our apartment. I want to include an aside here to mention that these are not photoshopped pictures. The skies are actually this blue in Iceland – something to do with the angle of the sun, refraction, etc. It is a completely alien blue, but so amazing to behold. The following morning we began our long drive back south to Reykjavik, the capital, and by far most populous city in Iceland. 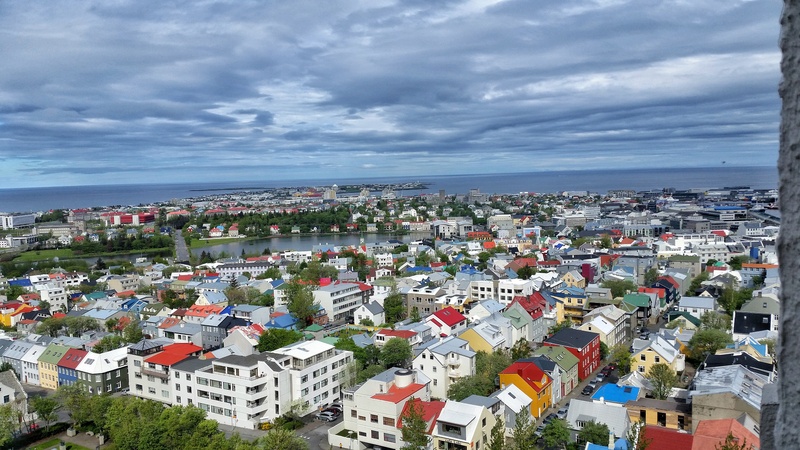 The population of the country is around 350,000, and roughly 300,000 of those live in or in the immediate vicinity of Reykjavik. The 6 hour drive back was incredibly scenic and went by pretty rapidly, thanks to the constantly changing landscape. Many stops were had. I peed in many beautiful places. The weather could not have been better. 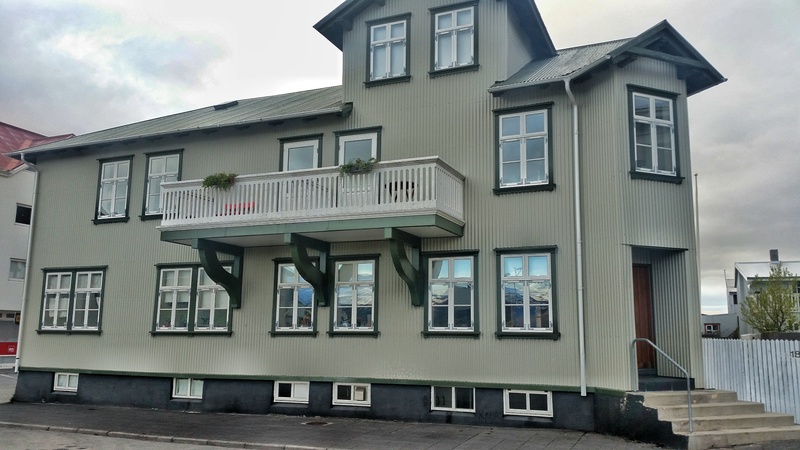 We got into Reykjavik in the mid afternoon hours, and checked into our room at the ultra modern Alda Hotel. 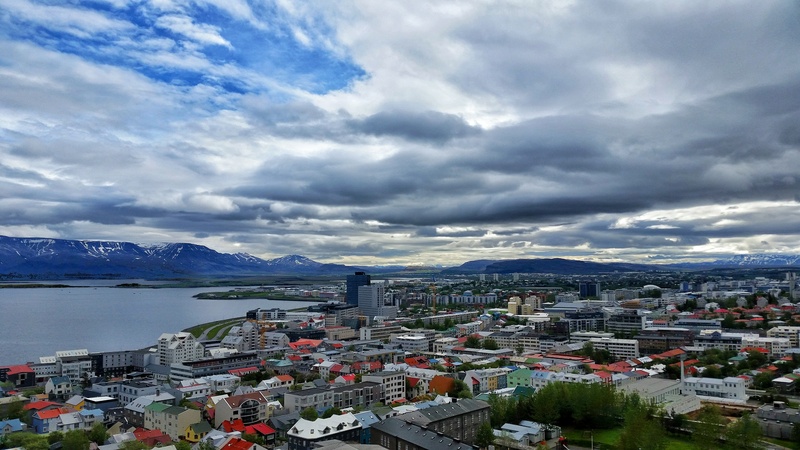 Reykjavik stood in stark contrast to the rest of Iceland in almost every way. If you’ve ever been to New Orleans on Bourbon Street, that’s essentially what the street our hotel in Reykjavik reminded me of in terms of volume of people walking along it. 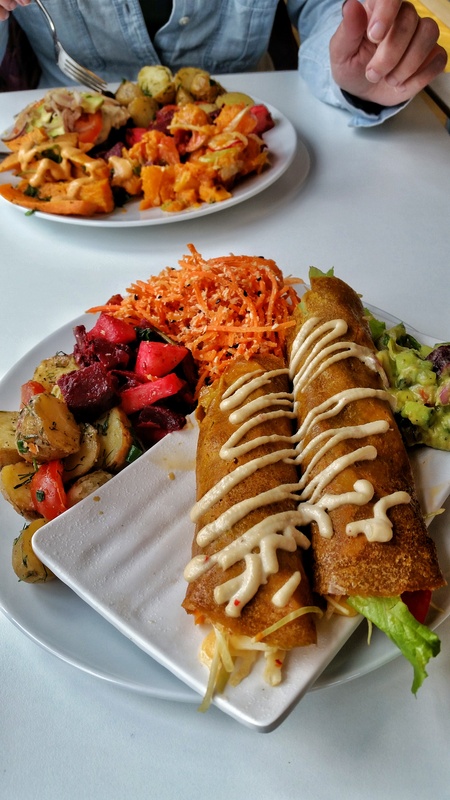 There are some great bars and restaurants in Reykjavik, and we took full advantage of them – starting with dinner at a full vegetarian restaurant called Glo,where I had some raw vegan enchiladas. It was really really good. Following dinner, we walked next door to the Lebowski Bar, a Big Lebowski themed establishment that I quite enjoyed. The next stop was at Íslenska Húðflúrstofan, the Icelandic Tattoo Company, to get a Vegvísir tattoo, which is an Icelandic symbol that declares “if this sign is carried, one will never lose one’s way in storms or bad weather, even when the way is not known”. I found this to be fitting tattoo to get, as I have felt a connection with Iceland for quite some time, and also being an avid traveler, it kind of fit with my modus operandi. Haffi was my artist and he couldn’t have been more friendly and accomodating. I was referred to the shop by a very helpful Icelandic acquaintance, Daníel, who helped me plan this whole trip to begin with. The following day we were scheduled to depart at 5 PM, which gave us a full day to explore the city. 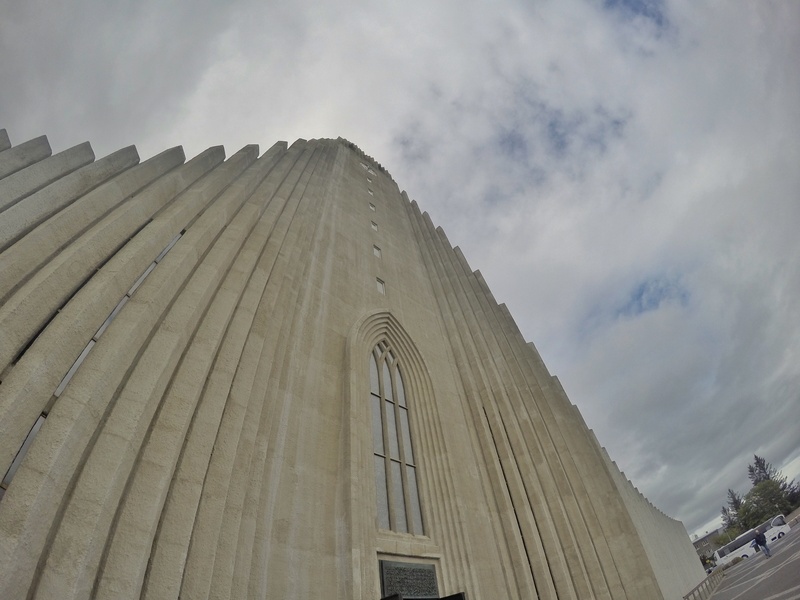 We visited Hallgrimskirkja, a very famous church that has amazing architecture, and even more amazing views over the city of Reykjavik from the top of the tower. And with that, our time in Iceland was up. Iceland had always seemed special to me, even before I stepped foot in the country. I spent many nights dreaming about the country before I had been there. 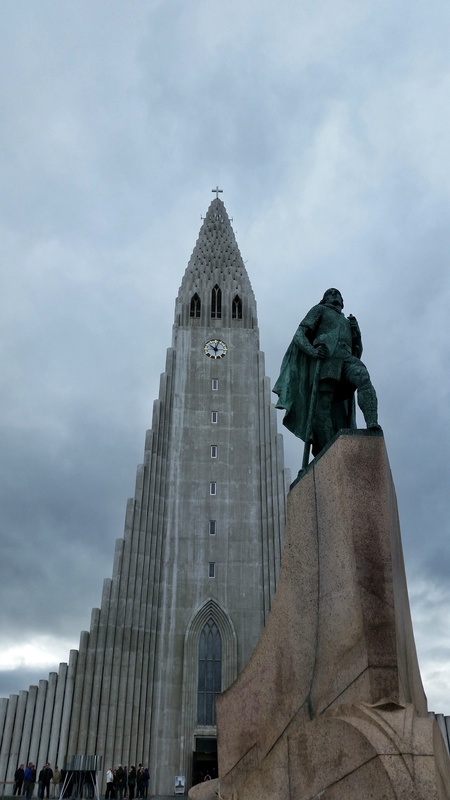 After spending 10 days in Iceland, I fell even more in love with the country and it’s people. My expectations had been high going in, and they were exceeded more than I could have even imagined. If ever there were a place I’d like to revisit, it would be Iceland. Despite having done and seen so much ,there was still so much more left to explore. Iceland, we shall meet again soon. 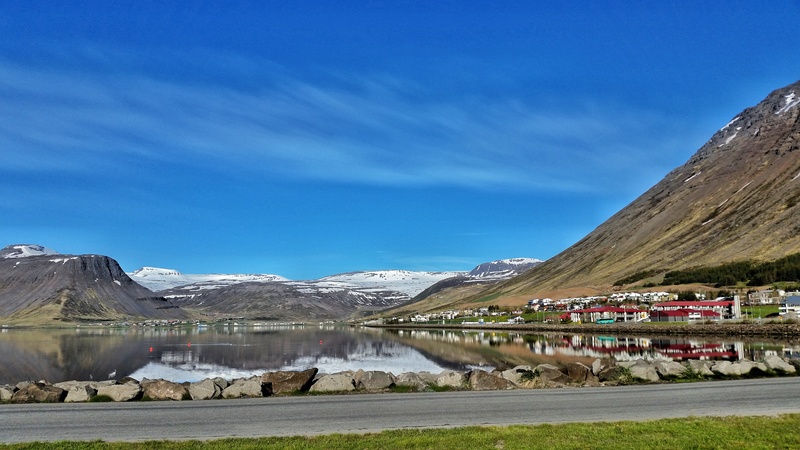 Great blog on the Westfjords and Reykjavik. 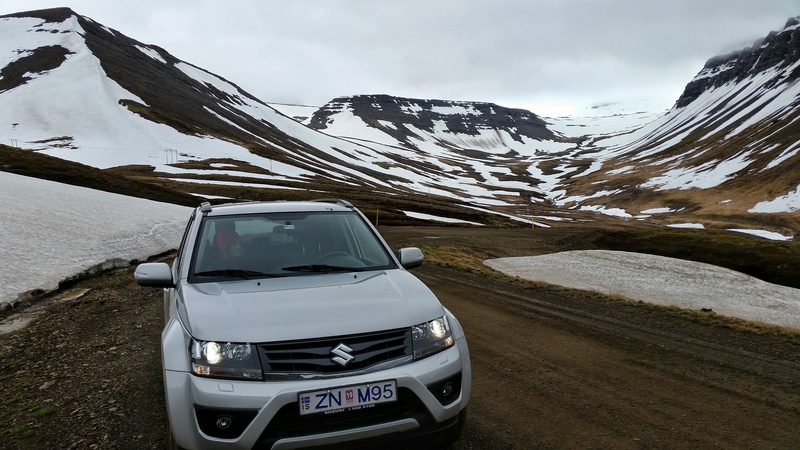 I hadn’t planned on taking the King & Queen excursion while driving through the Westfjords, but after your blog I plan to do it. Also, I planned to get a tattoo to symbolize my trip to Iceland when I get back to Houston. But after reading your blog and discovering there are tattoo parlors there, I can’t think of a better place to get it. Thank you! GREAT BLOG! – We leave on 7/1/15 for 10 days of a self drive on the ring road. 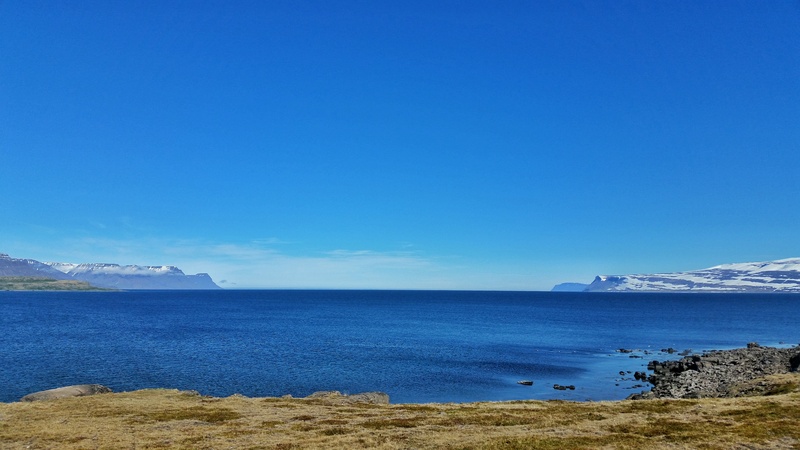 Your blog was very helpful, my only regret about our itinerary is not doing the West Fjords. 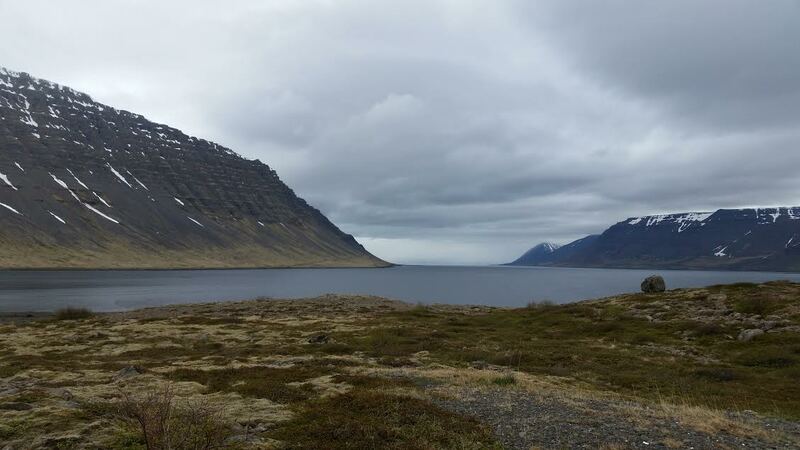 The Westfjords were so amazing, but so was the rest of Iceland! Great blog! Iceland is high on our travel plans, and you have confirmed my idea to spend our 2 1/2 weeks between Vik and the West Fjords. Trying to decide the best month to travel — crowds vs. weather. Maybe we should go in summer rather than September. Thanks for the helpful insights! Thanks! If you want the summer weather and daylight but fewer crowds, you should look into going in May or early June. July and August are the busiest months by far! 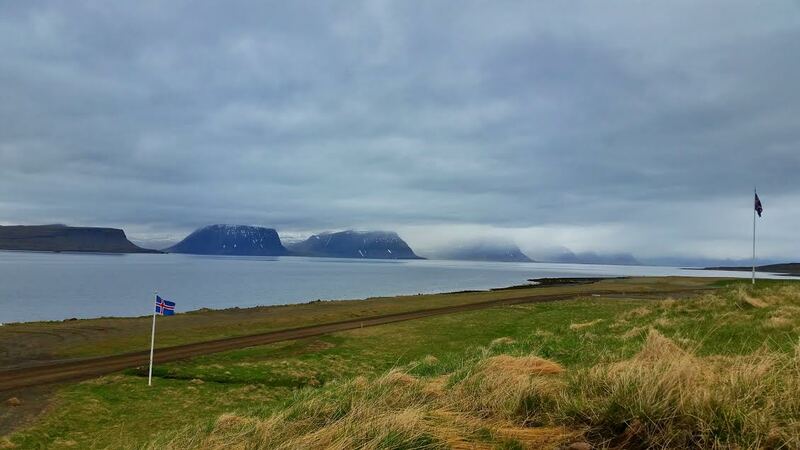 However, whenever you decide to go, you won’t encounter hardly any crowds whatsoever in the Westfjords! 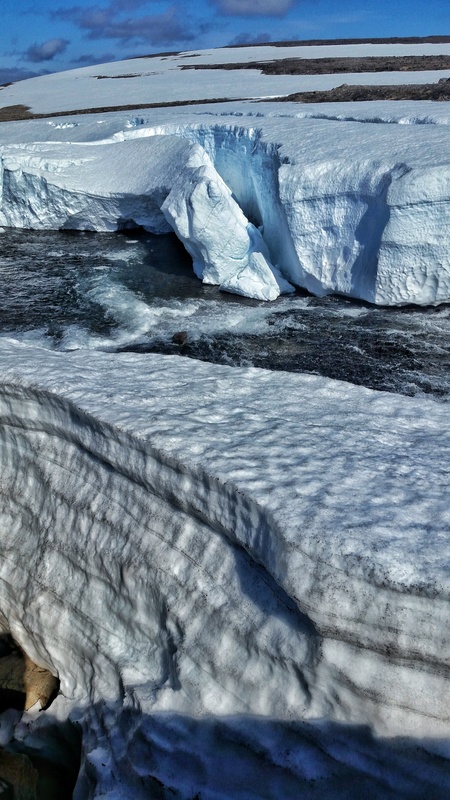 Most of the big crowds tend to stick to the Golden Circle sights. Happy travels! Such a fabulous blog! 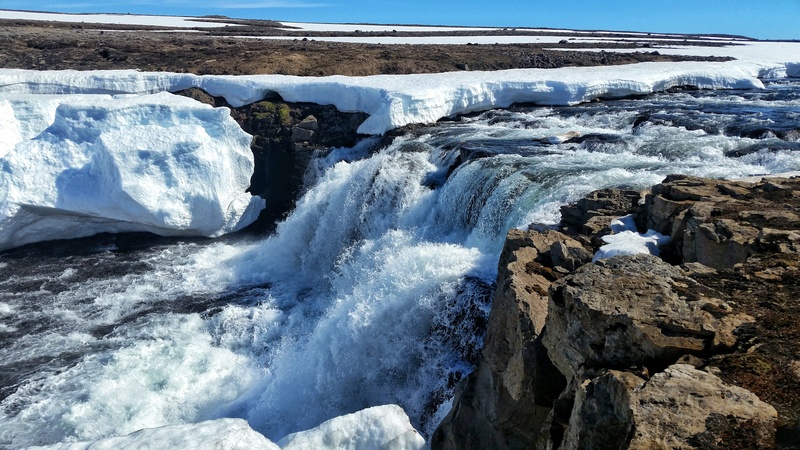 Iceland is a place I would love to visit and I had started to consider it for Christmas but after reading about your travels I will save it for May or June when we can really get out and experience the country not just the city! Thanks Susan! 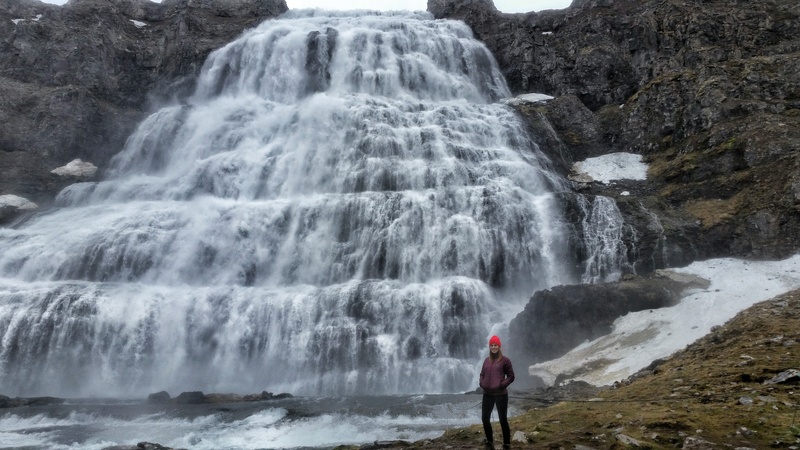 You will love Iceland any time of year, but I agree you’ll get the most bang for your buck in summer when you’ve got nearly limitless daylight for exploring. This whole blog is great!!! I was in Iceland right after you, and seeing all these sites again made me miss it so much; I was supposed to be there again last week, but sadly was unable to go. Do you have an Instagram to follow? Hey Logan, Iceland certainly does have a power that seems to draw you back in. I can’t shake the urge to jump on a plane and get back there as soon as I can! You can follow me on Instagram @justingoesplaces, thanks for reading! OMG! It looks awesome, i have always wanted to head to Iceland soon! 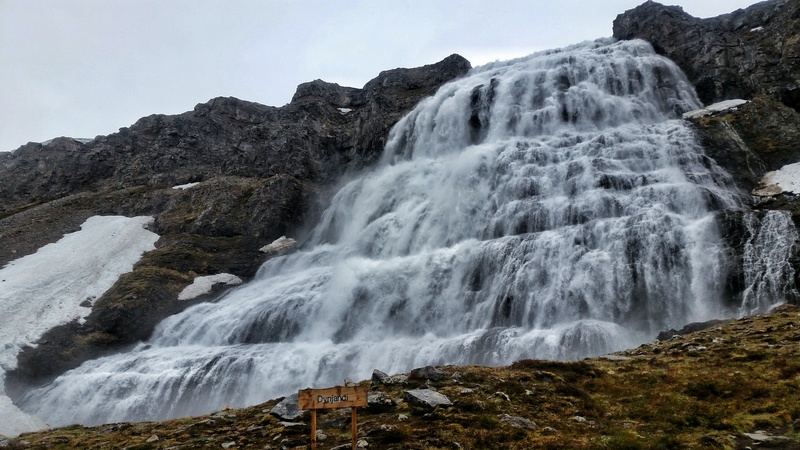 Those falls… oh my word those falls! I’ve never seen anything like it. 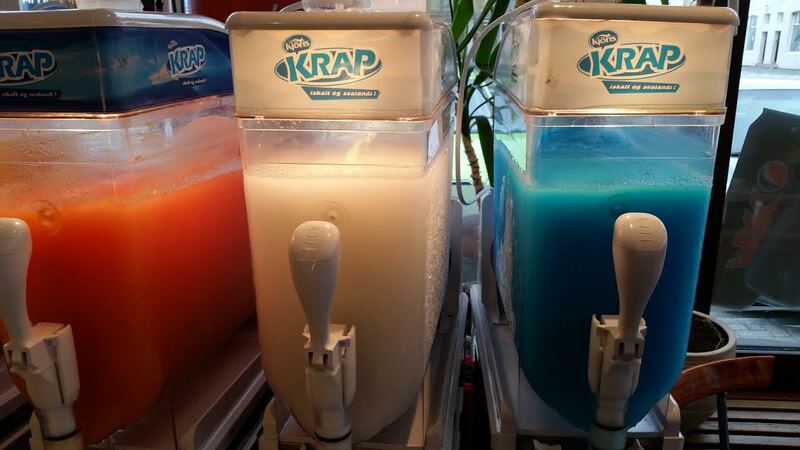 I would love to hear more about the Krap though too! Was it good? These photos are absolutely stunning! 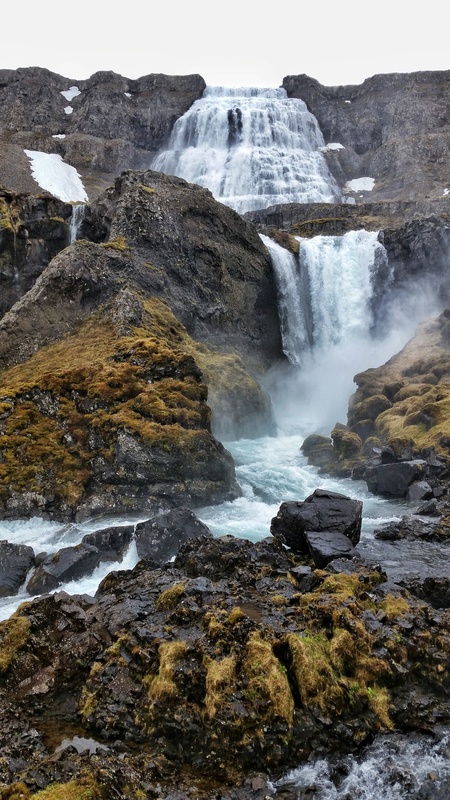 Iceland is one of those countries that will never bore you, there are beautiful sceneries everywhere. Thank you so much! And you are absolutely right, there is never a dull moment in Iceland! For sure! 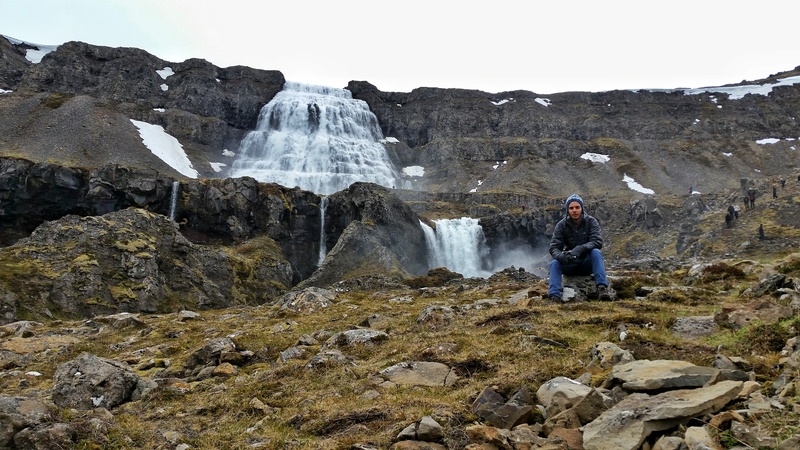 The landscapes in Iceland are unparalleled – I’ve never seen anything quite like it!